And so I returned in summer 2010 for a much closer look at Vinho Verde, visiting several individual estates and attending two large tastings, to see if that promise was being fulfilled. This was the first of several visits I will make to Portugal in 2010, as in February of this year I was honoured with the award of Portuguese Wine Journalist of the Year 2010, a title which carries with it the responsibility of choosing my own personal “50 Great Portuguese Wines”, to be taken on a tasting roadshow around the UK in 2011. This is a beautiful, peaceful and unspoiled corner of Portugal, traditionally known as ‘Entre-Douro-e-Minho’ with natural north and south borders formed by the Minho and Douro Rivers. The Vinho Verde region hugs the coastline of northern Portugal, from the Spanish border at the River Minho down to encompass the city of Oporto (the Port vineyards of the Douro, Oporto’s ‘other’ famous name, lie to the east, further up the Douro River as it travels from Portugal’s eastern border with Spain).There are 35,000 hectares of vineyards in Vinho Verde, but there are 38,000 individual growers, many farming only backyard plots. This traditionally poor region of small-holders has become much more organised and focused in wine terms recently, with initiatives like the Rota do Vinho Alvarinho around the vineyards of Melgaço and Monçao, and a Vinho Verde Commission (CVRVV) that funds research and promotion of the region’s wines.Soils in Vinho Verde are mostly granitic with some slate, but almost all vineyards are planted on granite. This is the opposite situation to Port wines and the reds of the Douro, where granite is shunned in favour of slate. The traditional training system is to have vines on high trellises around the perimeter of fields that are growing maize or other crops. But today’s quality plantings are almost all on dedicated vineyards, trained on lower systems that still keep the vines well off the often humid ground, but provide much better management of the leaf canopy and exposure of grapes to the sun. From the 52 permitted grape varieties for Vinho Verde a few have emerged as strong front-runners in quality terms. Alvarinho (the same grape as Spain’s Albariño) is certainly one, with many top wines being 100% Alvarinho, but other grapes like Loureiro have a strong following and also appear in varietal bottlings. My first stop of the day was to the offices of the CVRVV in Oporto, splendidly situated in a historic palace sitting high above the Douro, where a selection of Vinho Verde wines that had scored well in their own Vinho Verde awards this year awaited me. The wines on show all come from estates that form part of the Wine Route, which encompasses the territories of Melgaço and Monçao, both of which have nailed their colours firmly to the Alvarinho mast as the grape of Vinho Verde from the region. 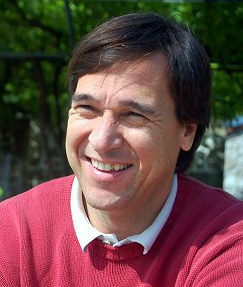 Anselmo Mendes, agronomist and oenologist, is one of the most important names in the Vinho Verde region – indeed in Portuguese wine. 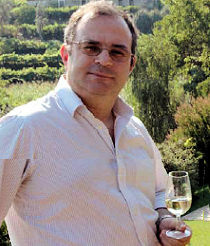 As well as producing wines from his own labels, he is a consultant to many of the leading quintas of the Minho. Anselmo comes from an old vineyard-owning family in the region, but he qualified as a winemaker first in Portugal, then with a postgraduate degree from Bordeaux. He started his own estate in 1998, and now works with the Alvarinho grape variety in his vineyards close to the River Minho, and the Loureiro variety close to the River Lima. Today, Anselmo’s consultancy work takes him to the Douro, Alentejo and Dão, but his heart lies with Vinho Verde, and Alvarinho is clearly closest to his heart: “I have studied Alvarinho for 20 years now,” he tells me. One of the most interesting estates of my visit was undoubtedly Afros, where farming and winemaking is organic, and in its final year of biodynamic certification. The visionary behind this estate is Vasco Croft, an architect and Steiner teacher, who began his career working and living in south London. 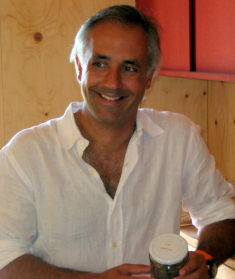 He returned to Portugal as head of the Steiner school, and in 2003 established Portugal’s first, and until now, only, biodynamic quinta. The farm has been in the Croft family for 100 years and was the home of Vasco’s great grandmother. It was already planted with vineyards, but in the old style on pergolas around the corn fields. There has been extensive replanting and retraining, and other vineyards have been purchased too, here in the Minho valley but also in Lima and close to Oporto. I met up with winemaker Rui Cunha (right), who explained that cover crops rich in nitrogen are ploughed back into the soils: “Years of growing maize in the region meant a lot of fertiliser was used and soils were too rich. Vines sprawled, but only achieved 8% or 9% ABV. Retraining the vines and cutting back fertilisers has reduced the fertility and raised alcohol, so it is much better for the vines and for the wine.” I had a look around the little ‘House of biodynamics’, constructed from wood so there is no electro-magnetic energy. For now the wines are made in a very cramped stone cellar beneath the 15th century house, in granite lagars, but a new cellar is planned. Afros’s wines – a still and a sparkling white made form Alvarinho and a still and a sparkling red made form Vinhão are intriguing, rich and complex wines. 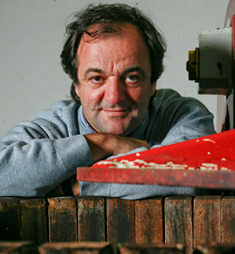 The secret is long lees ageing: Rui worked with Denis Dubourdieu in Bordeaux and says “Denis told me one thing: ‘lees, lees and more lees.’.” I also tasted one of his own wines, from a project known as ‘Secret Spot’. I visited Quinta do Ameal in 2006 when the quietly spoken Pedro Araujo had greatly impressed me with his wines, so it was good to meet up again to see the progress he has made in that time. Pedro has a particular passion for the Loureiro variety, which dominated his plantings. Yields are very low at 4/5 tons per hectare, where the law allows 15 tons per hectare. Organic farming helps keep yields naturally low – there’s a smaller flowering than farming with synthetic fertilisers and some losses to mildew, so as Pedro says, “the yield is naturally 20% to 30% lower than it might otherwise be.” Pedro also green harvests (removing some bunches during the growing season) and everything he does at his Ponte do Lima vineyards (Lima is generally a Loureiro stronghold) is aimed at quality: “I am completely against the Vinho Verde being promoted as low priced wines,” he says, voicing a clearly strong opinion. “That is promoting low quality too.” Anselmo Mendes is consultant oenologist here. Though a family wine-growing business for four generations, Casa de Cello has been making estate wines under João Pedro Araujo’s direction since 1996. The estate cannot use the name ‘Casa de Cello’ on their front labels, as the giant Sogrape company has a ‘Cello’ brand that was registered first, so their Vinhos Verdes appear under the Quinta de Sanjoanne brand name. João Pedro also makes wines in the Dão under the Quinta da Vegia label, and wines from both estates were shown here. The Casa de Cello estate has 14 hectares of vineyard planted around the comfortable old family home near Amarante towards the south of the Vinho Verde region, growing Arinto, Alvarinho, Loureiro, Avesso and Chardonnay. The Granitic soils have a sandy texture, and with an annual average rainfall of 1500-2000mm, the area is officially classified as ‘humid or super-humid’, though summer months tend to be very dry. Of course there is still an ocean of cheap, undistinguished Vinho Verde out there servicing everyday local drinkers and Portugal’s significant tourist trade, but the handful of estates visited and 70+ wines tasted for this report offer conclusive proof that seismic changes have already taken place in the Vinho Verde region. And that impetus seems to be building as change sweeps through both viticulture and winemaking, with producers having the confidence to set their sights higher. Certainly there are world class wines here, dry whites, reds and a burgeoning scene of sweet and sparkling wines, that offer a rich vein of interesting and high quality drinking. Most of these wines already have at least some UK and international distribution, and the new wave of Vinho Verde is just waiting to be explored.